Reds beat Blues when it comes to the best mobile coverage. The Red half of Manchester has faster mobile internet speeds that the blue half according to independent, on-the-ground tests carried out by RootMetrics. 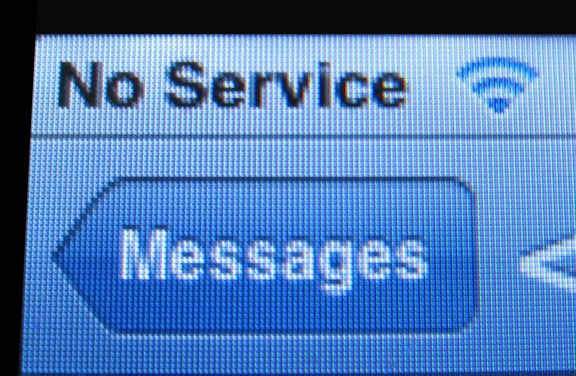 Using regular, over-the-counter smartphones, 21,012 tests were undertaken measuring call performance (dropped and blocked calls), mobile internet speeds (both upload and downloads) and text performance (delivery speed and failed texts) across Manchester and surrounding areas. Using this data, RootMetrics was able to show the Blues have ‘Eti-had it’ when it comes to mobile internet[i] with average speeds down 10% on their United rivals. The tests were carried out before EE launched its 4G network. On both mobile download and upload speeds, historically Red friendly postcodes regularly passed 2.0 Mbps average download rates, while of the traditionally City-supporting areas, only Tameside regularly gets above 2.0 Mbps. Wigan, which according to a survey from the Manchester Evening News is a heavily City-supporting area, is the slowest of the bunch when it comes to downloads, about 17% behind United’s heartland in Salford. In terms of call service, United and their ‘noisy neighbours’ are about equal, though City stalwarts in Tameside get the poorest service of all, with 1 in every 10 (10.7%) calls dropped or blocked (average across all networks). For United, Trafford received the highest percentage of dropped calls (6.6%). Looking at other old rivalries, Rochdale thrashes Bury. Its mobile internet is 17% faster on download speeds, and calls from Rochdale fail just 3.0% of the time while Bury calls fail 5.7% of the time. But if it’s any consolation, people in Bury will be able to respond quickly to any taunts from their old foes because they can upload un-flattering Facebook pictures just as quickly as anyone in Rochdale. While light-hearted, these contrasts underline a serious point, that mobile coverage across the area and between operators is not equal. Three and Vodafone provide the best service overall on average scoring 84 and 81 respectively, with T-Mobile (91) and Three (91) drawing to offer the best service when it comes to calls. Vodafone (79) was deemed joint best with Three (76) when it comes to mobile internet. T-Mobile was the slowest network, offering download speeds of 1.5 Mbps. That means uploading a medium-sized photo to Facebook would take well over 25 seconds. “Our testers covered more than eight hundred and thirty miles to deliver a highly accurate picture of mobile network performance in the area,” explains RootMetrics CEO and President Bill Moore. “Using our data, we’ve been able to show City-supporting areas get a raw deal compared to their United rivals. Overall, Three and Vodafone provide the best service across all of Greater Manchester, but T-Mobile is joint best with Three when it comes to call performance. Interestingly, when looking at call performance, it seems people are more likely to get through in the suburbs than the city – only 1.8% of calls in the surrounding towns were dropped or blocked, whereas 2.4% were in the city. This increases to 7.7% on commuter routes and almost 1 in every 13 calls can be expected to drop on the surrounding motorways. Rochdale has the best service of any area, with every network offering speeds of over 2.3 Mbps. Three in Rochdale hit 3.6 Mbps, 64% faster than its speed in Manchester itself. At the other end of the scale is Standish, averaging just 0.7 Mbps (± 0.2 Mbps). The single fastest single test came not in Manchester but in Altrincham, outside the Altrincham Retail Park, where Vodafone recorded a single download test of a blisteringly fast 12.2 Mbps. The full Manchester and surrounding RootScore report is available to download from the RootMetrics website at http://bit.ly/VJUb6w where you can also review the methodology behind the tests.